Samsung is aiming to bring high-definition closed-circuit television monitoring to mainstream consumers at an affordable price. CCTV systems are everywhere these days, but systems that produce a clear image have been an issue. 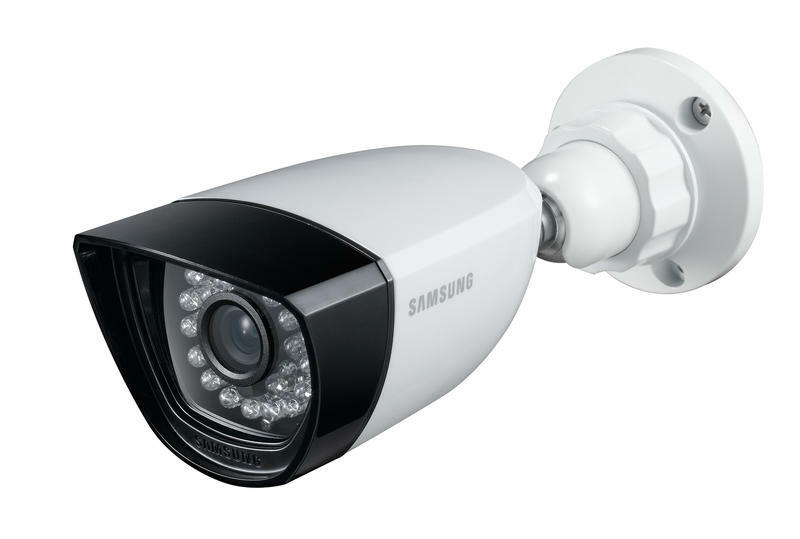 Enter the Samsung SDH-P4040 (8-channels) and SDH-P5080 (16-channels) that will allow you to view car license plates clearly and watch over retail stores in 720p resolution. The systems will also be use nightvision for up to 75 feet, which should be more than enough to monitor any area with the ability to use this many cameras. The Samsung SDH-P4040 and SDH-P5080 will be available spring of 2013 and will retail for $1,399.00 and $1,799.00, respectively. 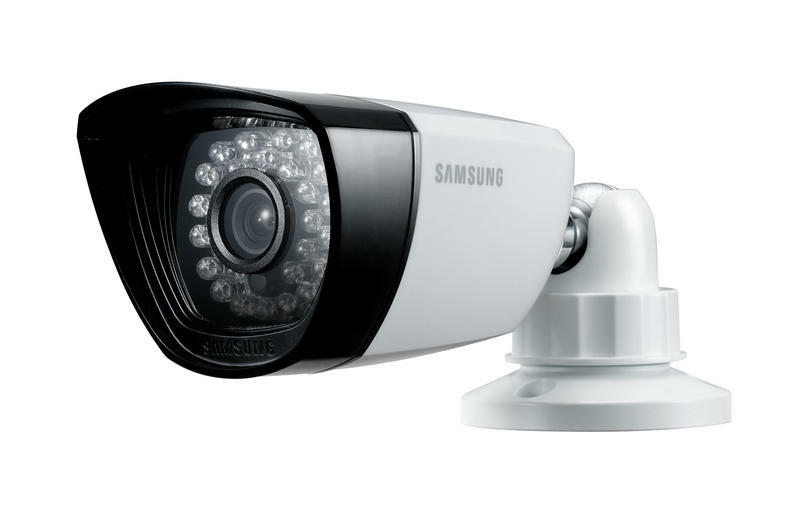 LAS VEGAS – January 7, 2013 – Samsung Techwin America, a leader in consumer video monitoring and security products, further extends its portfolio of high-quality CCTV systems with the announcement of two new HDTV CCTV systems. 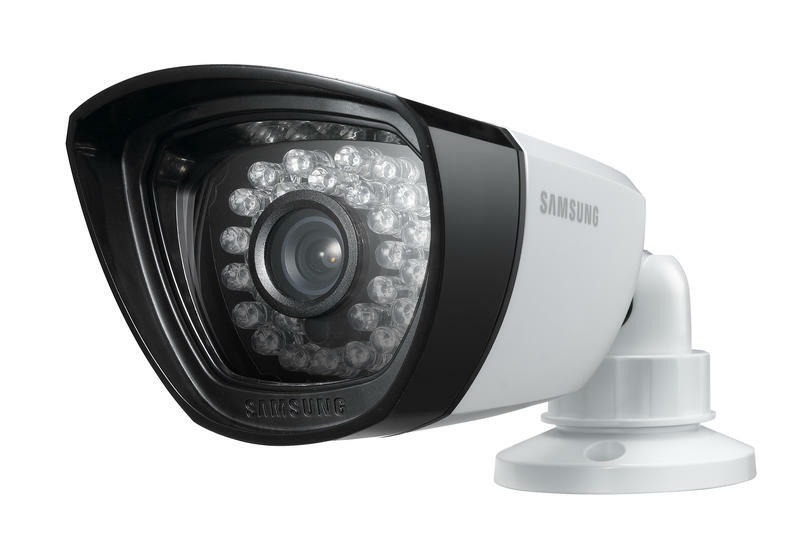 Ideal for security applications where detail is of utmost importance – such as clearly viewing license plate numbers or closely monitoring retail transactions – Samsung’s new 8‑channel (SDH-P4040) and 16-channel (SDH-P5080) systems give consumers the ability to record and view high-definition video in real time. 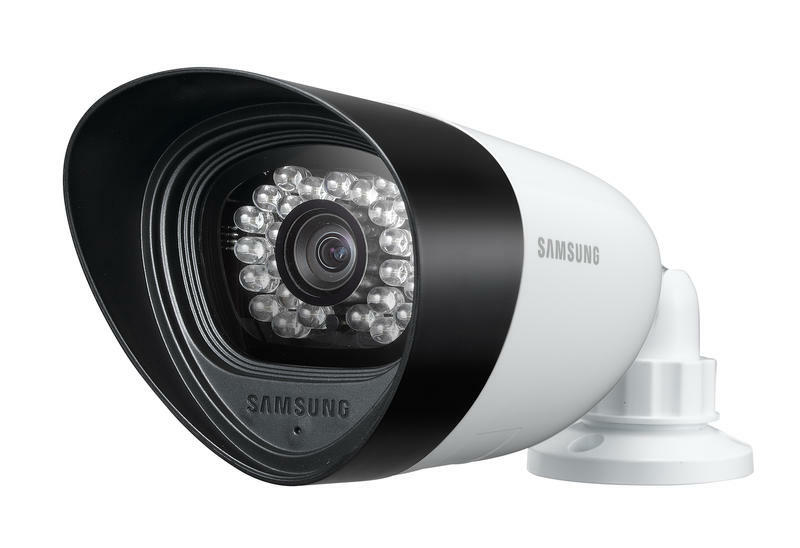 Representing the next generation of CCTV monitoring for home and business use, Samsung’s new all-in-one HDTV kits deliver high-definition video recording and shatter the barrier to entry that once existed for these markets. 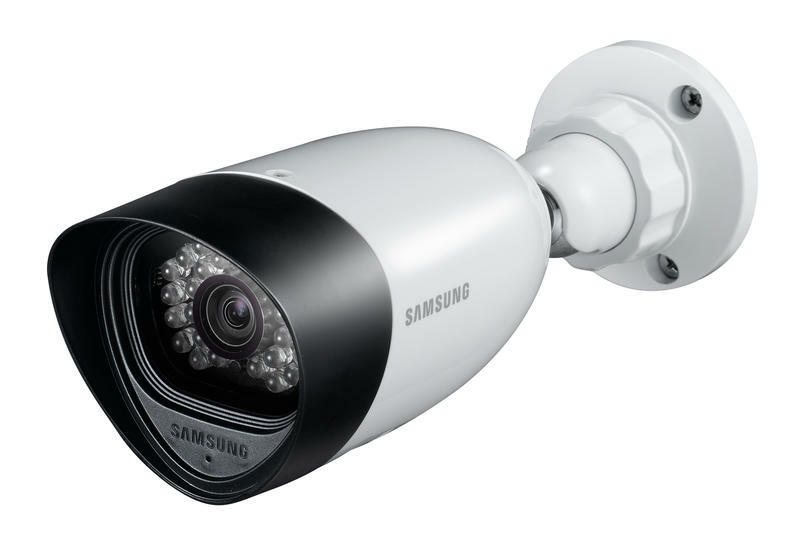 Both systems offer four, outdoor‑ready, 720p HD night vision bullet cameras (night vision up to 85 feet) that output full, uncompressed video without latency. For added flexibility and applications that demand support for additional cameras, the 16-channel system incorporates an additional four outdoor-ready night vision bullet cameras (600 TVL resolution / night vision up to 75 feet). 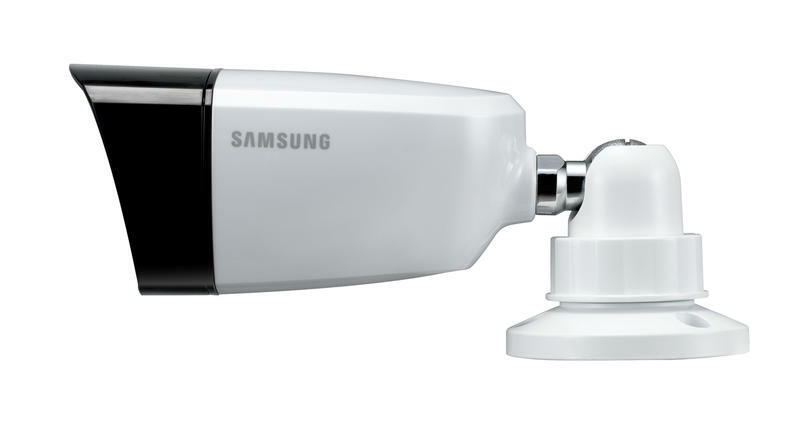 The HDTV cameras also excel in any lighting environment thanks to Samsung Super Dynamic Range (SSDR) and Samsung Super Noise Reduction (SSNR III) technologies. With SSDR, the HD cameras and automatically increase the brightness of the dark areas of the image without affecting the rest of the image, while SSNR III drastically reduces image noise to provide impressive color in low-light conditions. Installation of these do-it-yourself security kits is a breeze thanks to simple Cat5E cabling that offers a range up to 400 feet for HDTV cameras (no separate cable is required to power the cameras) and a robust feature set that takes the guess work and hassle out of integrating the system within one’s network. The kits each offer a high-performance DVR that boasts a 1 TB surveillance class SATA hard disk for 24/7 recording and up‑converts video footage to full 1080p HD for viewing on an HDTV. Users also have the ability to remote access from anywhere at any time via desktop computer or using a free app available for Android and iOS devices. 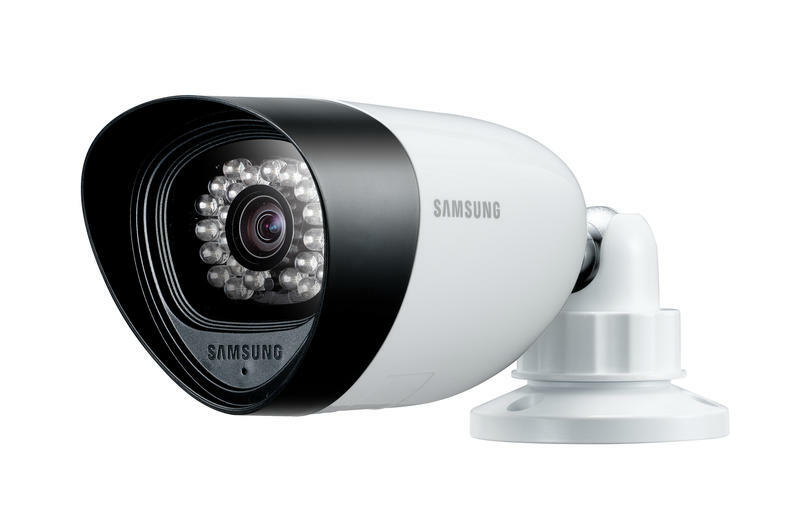 Furthermore, with Samsung’s Quick Connect technology, the new HDTV CCTV systems will automatically configure the user’s router and manage all required port forwarding so that all remote requests to access live feeds are directed to the appropriate connected camera on the network. Samsung’s free DDNS service also ensures that dynamic IP addresses assigned by the user’s ISP are recorded and updated accordingly so that the web portal can make the connection for those who wish to access the DVR from a location outside their network. For easier video exporting, Samsung has included two high speed USB 2.0 ports which are easily accessible on the front of the DVRs. Navigating the system also proves easy thanks to Samsung’s user-friendly SmartView video management software. With SmartView, users will be able to access multiple DVR systems from a single user interface. Advanced features include motion detection, camera tampering alerts, and privacy masking. 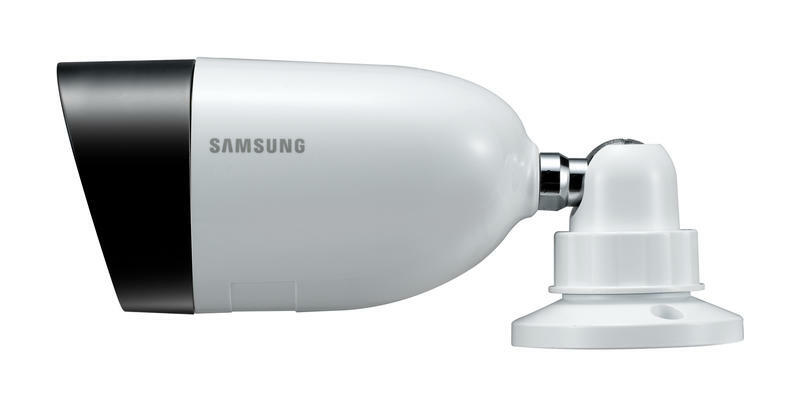 The Samsung SDH-P4040 and SDH-P5080 will be available spring 2013 and will retail for $1,399.00 and $1,799.00, respectively.